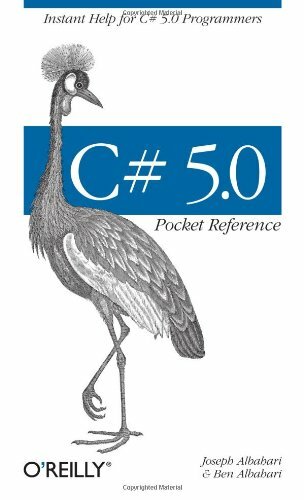 Joseph Albahari is author of C# 3.0 in a Nutshell, LINQ Pocket Reference, and C# 3.0 Pocket Reference. He has been developing large-scale enterprise applications on .NET and other platforms for more than 15 years, and is author of LINQPad, the popular utility for querying databases in LINQ. Joseph is currently a freelance consultant. Ben was the cofounder of Genamics, a provider of tools for C# and J++ programmers, as well as software for DNA and protein sequence analysis. He is a co-author of C# Essentials, the first C# book from O'Reilly, and several editions of C# in a Nutshell.